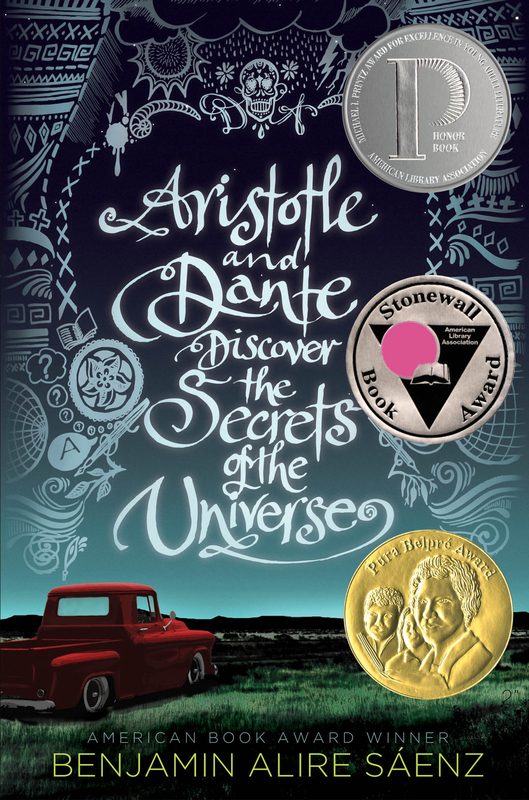 Aristotle and Dante Discover The Secrets of the Universe is a beautiful, moving tale of teenage love, friendship and family. Reading this made me realize that reading a book is soo different now that I'm a mum. The way I see things, the way I interpret the books, my feels, my thoughts are so different now. I'm very sure that I won't feel this way if I had read this when I was single. Maybe 4yrs ago. 4 years ago, I was a girl who's in love with another girl. I was a girl who has accepted the fact that I won't have a "regular life". I was a girl who's very much at ease with her sexuality and has accepted herself. I was a girl with parents who loves me just as much. If I had read Aristotle and Dante 4 years ago, I would have felt happy that finally a book that talks about the rawness and the reality of being 15 and scared and confused was finally published. I would have wanted to hug Dante because in one way or another, I relate to him much more. I am that crazy girl with a wonderful family. But is very much honest with her feelings. I see Aristotle in so many girls and boys I've known before. Confused. In denial. Angry. And I was once him. 4 years ago I would've loved the book because of the main characters. These 2 beautiful, young, Mexican-American boys who fell in love. Yes, I'd probably felt happy that their parents love them so much. I'd probably think that the parents are awesome because they knew. Wow! They understood. They knew. They have accepted. But now, since I'm a mum myself. I feel like I connect more to the mums of the book. Well yes, since I was once on their shoes, I could definitely understand Ari and Dante. But now I really feel for the parents more. Because that is me now. I smiled when Dante says, referring to her mother "She's God. She knows everything.". I smiled and cried at the same time. Oh how I wish I could be like Dante and Ari's mum. How I wish that someday, one day, when my daughter hits her teenage life, she could say those exacts words. Right now, people around me say that. "Oh you probably have a CCTV here. You always know what happens to your child." Hahaha! Then I'd simply tell them, because I'm her mother. I know her like the back of my hands. But teenage years are different. I know because my own parents, while I am sure that they love me, didn't really know me. They didn't know me. And like these two boys, I also felt alone. Lonely. Angry. But unlike them, I had to overcome everything by myself. Probably because I know that my parents love me anyway. At least they love me more than enough. It may not be the kind of love I need or want, but they love me nonetheless. And sometimes, that's more than enough. This book had made me realize tons of things. Tons and tons of things. I'd probably read it again after 10yrs. Just to check. Just to keep myself in check. Anyway, this is a deeply moving book. Full of young love and friendship and family. I love it so much. So much that I want to read it again. It really is an experience. And honestly, I want to hug them both. Tell them that they are okay. That they will be okay. And I hope that the love they have won't be tainted with anything crazy and dark and sad. Because the kind of love they have is something everyone of us, wished to have.